B’more for Healthy Babies (BHB) is an innovative initiative to reduce infant mortality in Baltimore City through programs emphasizing policy change, service improvements, community mobilization, and behavior change. It has helped reduce the infant mortality rate in Baltimore City to its lowest point ever: 9.7 deaths per 1,000 live births (2012). Infant mortality has decreased by 28% since the launch of the initiative, from 13.5 in 2009 to 9.7 in 2012; the disparity between white and black infant deaths decreased by almost 40% during same time period. BHB is led by the Baltimore City Health Department and the Family League of Baltimore and implemented with more than 100 partner agencies from the corporate, nonprofit, academic, donor, and government sectors. The Initiative has a strong community outreach and mobilization program that operates in Upton/Druid Heights, Park Heights, Patterson Park, and other neighborhoods. BHB works to decrease the two three leading causes of infant death: premature birth, low birth weight birth, and unsafe sleep. Our goal is to improve an often-fragmented health care system to reach all of Baltimore’s families with quality maternal and infant health services and support. All of Baltimore's babies are born at a healthy weight, full term, and ready to thrive in healthy families. 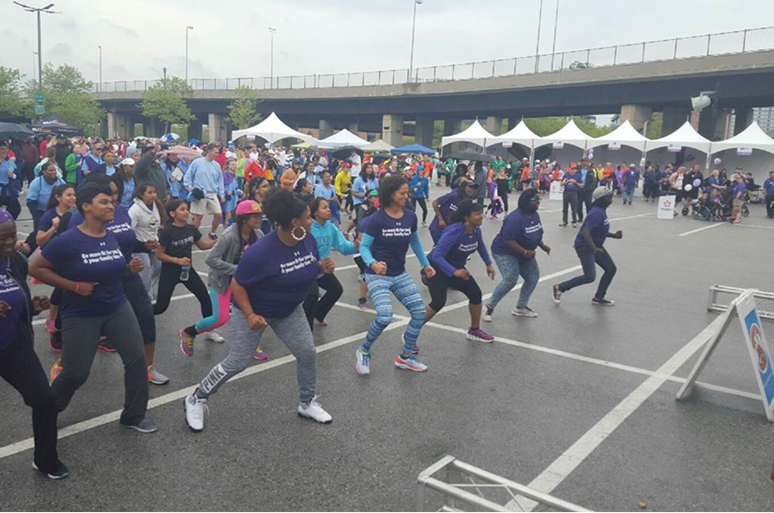 B'more Fit kicked off the March of Dimes 2016- March for Babies walk this past Saturday at Camden Yards. Along with Cranked Up Cardio, moms from both sites led the warm up for the walk and helped energize the soggy crowd. Go B'more Fit! B'more for Healthy Babies is a long-term initiative that has been carefully planned to work at the policy, service, community and individual levels. The BHB Steering Committee brings together leaders from city agencies, medical systems, and the community to improve maternal and child health policy. Mayor Stephanie Rawlings-Blake’s 2010 proclamation requires standardized safe sleep education for all parents upon discharge from birthing hospitals. HealthCare Access Maryland has improved coordination with providers, home visiting programs, and BHB community-based programs for triage, referral and followup of pregnant women. BHB equips healthcare providers with evidence-based tools, protocols, and standardized messages/materials to improve services. 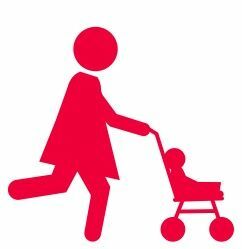 120 clinics, social service sites and daycare centers receive door-to-door delivery of BHB materials and in-person updates each year during Rattle & Roll Day. 3,500 providers from 220 venues have been trained in safe sleep education. 11,200 Baby Basics books and planners have been distributed to pregnant women. BHB implements intensive community outreach and supportive programs in high-risk neighborhoods. Community Collaboratives in Upton/Druid Heights and Patterson Park North and East have reached more than 30,000 community members with messages, materials and support. Neighborhood action teams have been created to provide input on the City’s Fetal and Infant Mortality Review process. Nine Baby Basics Moms Clubs provide prenatal education and support to pregnant women. The B'more Fit for Healthy Babies Program, which is a partnership with Weight Watchers, has led to the launch of a third program site and national media coverage. Enoch Pratt Free Library Book Buggies stop at every WIC site to provider families with first cards and books to borrow. BHB engages families with key health messages and support. SLEEP SAFE media messages have had potential reach of 14 million views (impressions). 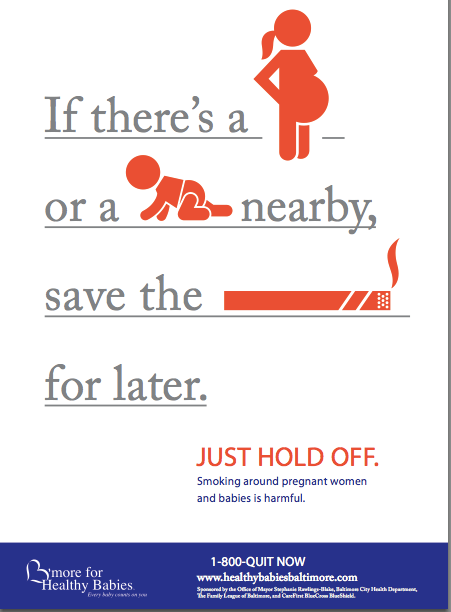 250,000 copies of posters, rack cards and other materials have been disseminated citywide for the campaigns of SLEEP SAFE, Just Hold Off (smoke-free environments), Know What U Want U choose (teen pregnancy prevention), and other initiatives. WIC, Baltimore Infants and Toddlers, Baltimore HealthCare Access, Baltimore Mental Health Services, Behavioral Health System Baltimore, Baltimore City Department of Social Services, Baltimore City Public Schools; home visiting programs, Federally Qualified Health Centers, birthing hospitals, and a vast network of OB-GYN and pediatric providers; nonprofit organizations such as Baltimore Reads, the Y of Central Maryland, and Enoch Pratt Free Library; and numerous other supporters including the Baltimore Ravens, the Baltimore Orioles, and numerous churches and businesses. Implementing agencies include our key community partners of Baltimore Medical System (Patterson Park North and East) and the University of Maryland Medical System Foundation (Upton/Druid Heights); our communications partner of Johns Hopkins Center for Communication Programs; and our evaluation partner of Carson Research, Inc. This project is built on collaboration at the policy level and in the community. And we invite interested parties – foundations, nonprofit organizations, community leaders and others – to get involved.